The early pioneers of Pret are the creative force behind itsu. Its ‘eat beautiful’ menu celebrates the amazing flavours of the Far East – high in nutrients yet refreshingly low in calories and saturated fat. Protein-packed low-carb salads, fields of crunchy vegetables, delicious hot chicken noodle soups, brown rice pots, freshly made sushi and sashimi as well as frozen yoghurt and beauty smoothies too. 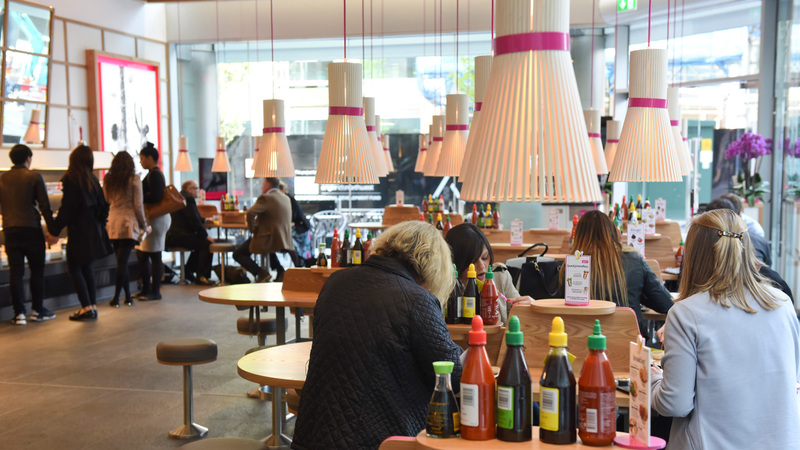 64 delicious dishes all freshly prepared in each itsu every day.